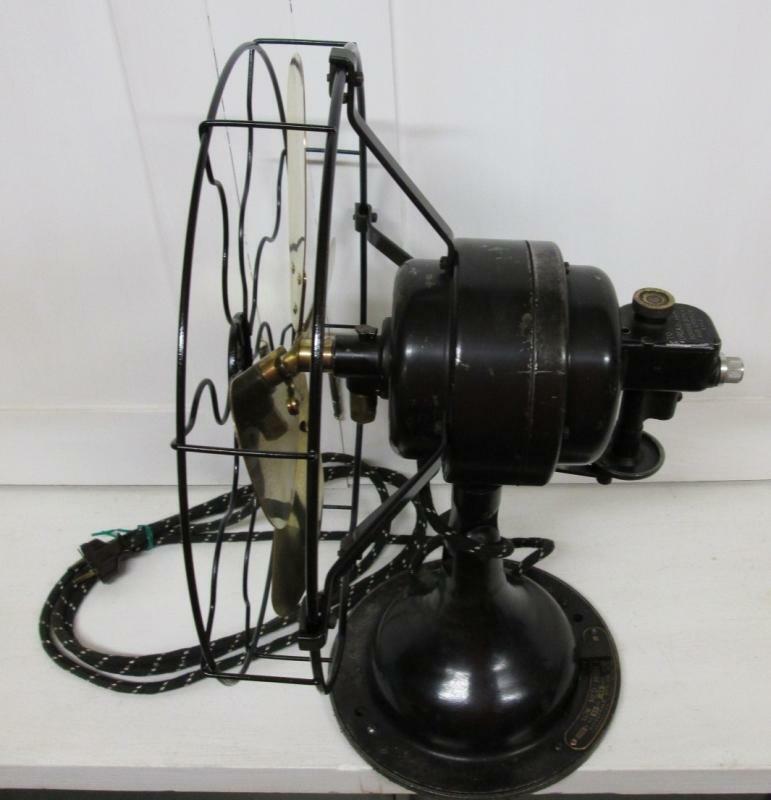 This is a very nice 1920's era 3 speed electric fan with the oscillating option that you can shut off if you choose to. 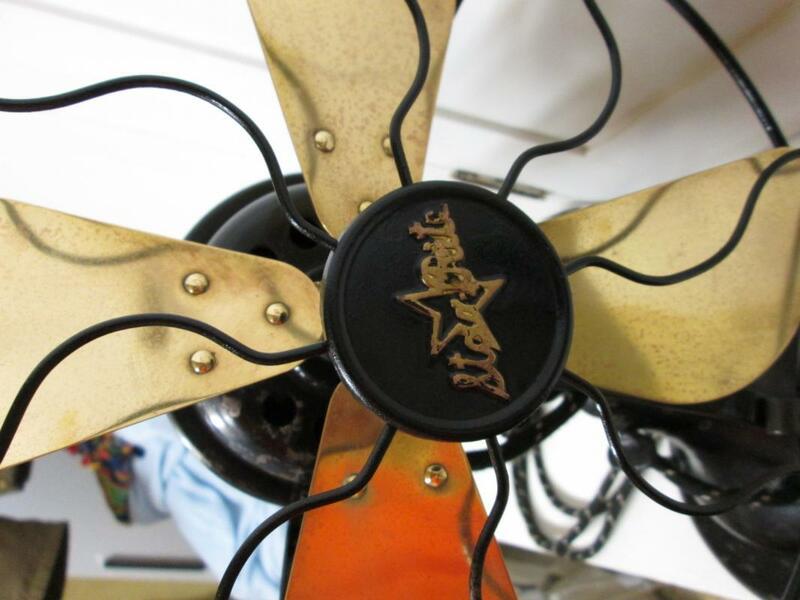 This fan is heavy duty, yet quiet running in any of the 3 speeds! It has been update with new cloth coated insulated wire and rubber grommets inserted in the casting wire clearance holes, very similar to the original, but a little more durable. Should last another 100 years! 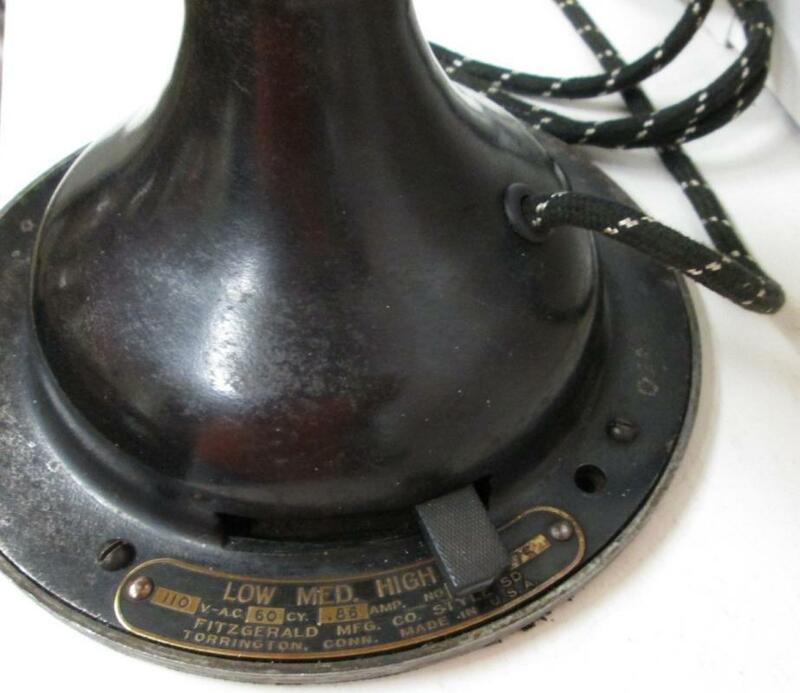 As you can see the paint is original black with about 85% paint intact, not so much scratched as just worn off like on the top of the motor for example, wear the base has most paint intact but has some minor stains and blemishes. 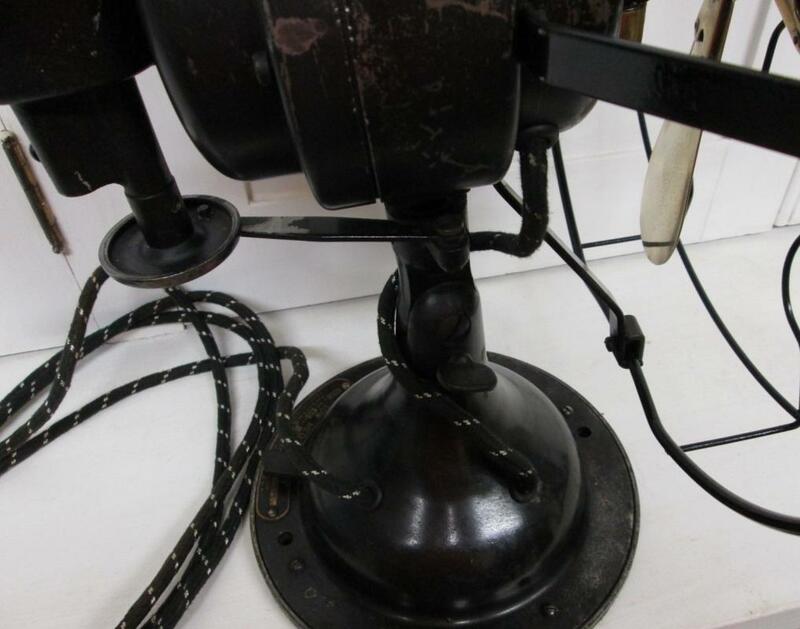 There is black felt on the bottom of the base to keep from scratching the stand or table the fan is set upon. 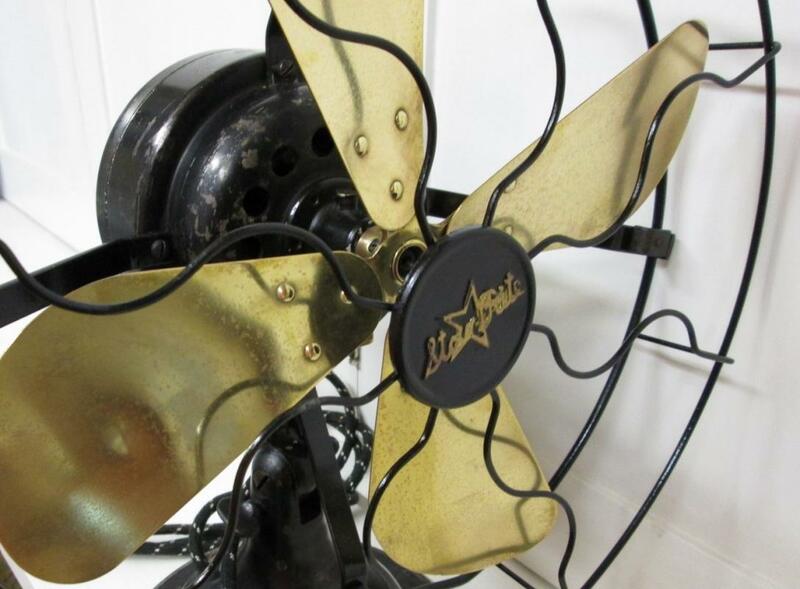 There is one slight dent in 3 of the 4 brass fan blades. I am not sure how the got there but they dings do not effect the air movement and the fan blades are not cracked or otherwise bend up. 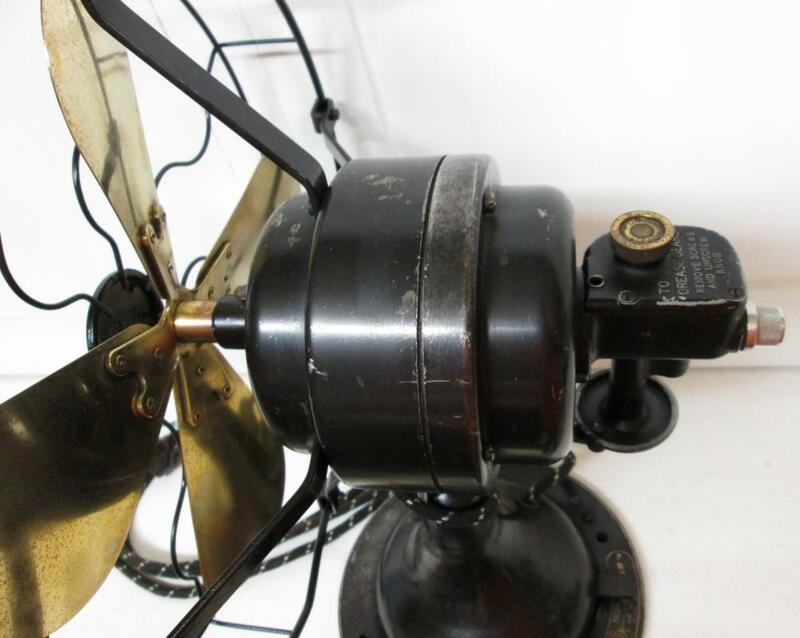 The brass blades are in very good usable condition overall, very sturdy. 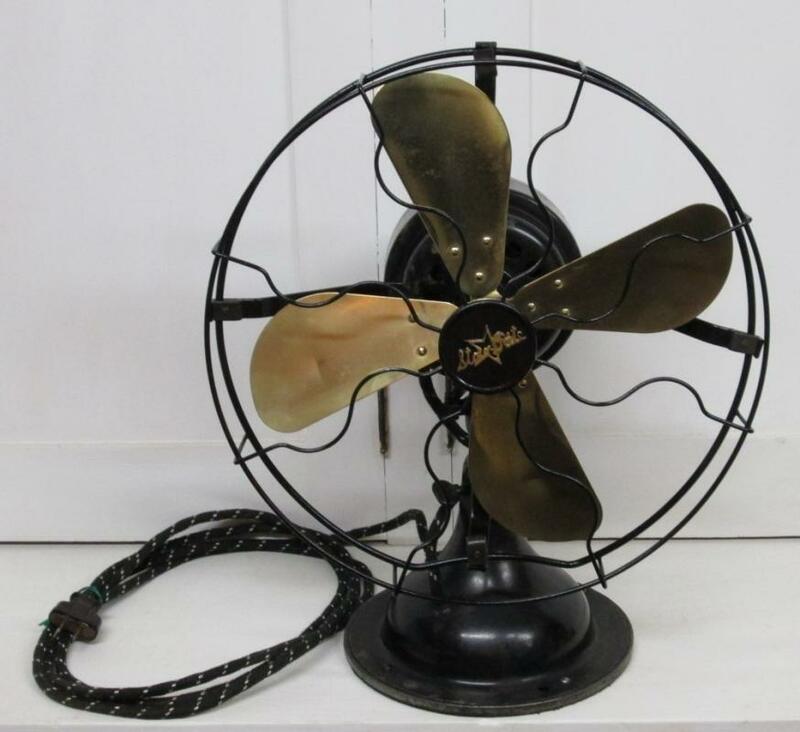 We don't see as many of the Fitzgerald brand brass blade fan as other brands like Emerson, GE, or Westinghouse. 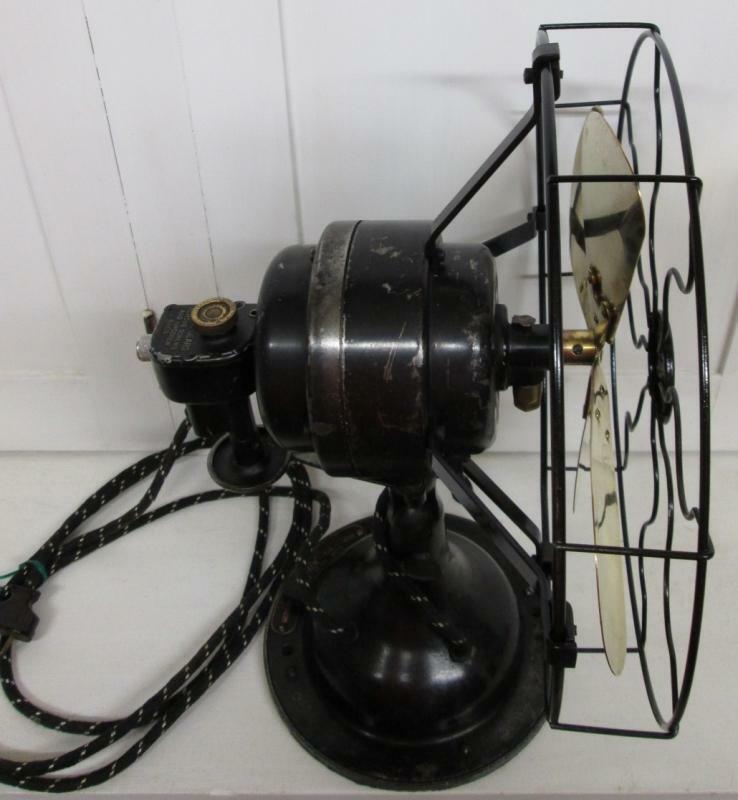 But this fan is very well constructed and moves plenty of air!